Here’s a quick little tutorial on how to downgrade iOS 12.0.1 to iOS 12 on your iPhone, iPad or iPod touch right now. Apple has released iOS 12.0.1 a while back with a number of fixes for users across the board and needless to say that it’s an important update for everyone out there as it fixes problems that started to manifest as more and more people started using Apple’s new operating system. But, not everyone out there might find the update in good taste and will prefer to keep themselves on the initial release for some reason. If you are one of the many out there who feel that way, then pick up your iPhone, iPad or iPod touch and we’ll show you how you can downgrade iOS 12.0.1 to iOS 12. 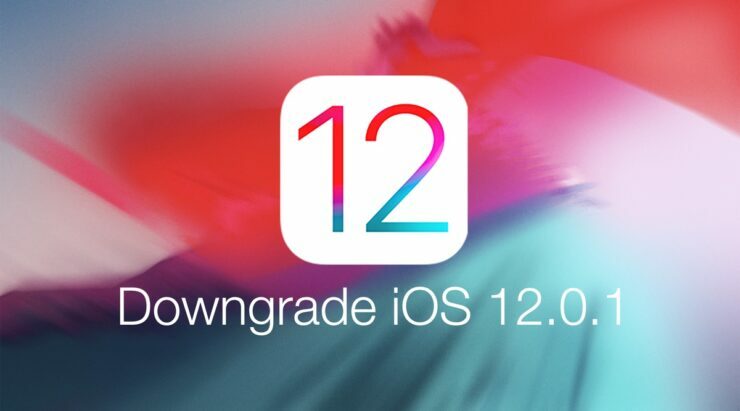 Note: If you are new to the process of downgrading, then please know that you will lose all your data when you downgrade iOS 12.0.1 to iOS 12. Therefore take a backup of everything in a safe and secure location before going ahead. You can either use iTunes or iCloud, it’s entirely your call. 1. Download the iOS 12 firmware file from this link. Download the correct IPSW file otherwise iTunes will fail to restore your device. 2. Once the download is complete, connect your iPhone, iPad, iPod touch to your PC or Mac using a Lightning cable. 4. Select your device from the top left hand corner of iTunes. It’s a tiny little icon which you have to click that looks like an iPhone. 5. Now click on the ‘Restore iPhone’ button while holding down the left Shift key (Windows) or the left Option key (Mac). 6. Select the iOS 12 IPSW file you downloaded in step 1. 7. iTunes will start extracting the contents of the firmware file then restore your device immediately. This process may time a while depending on what type of computer you have as well as iOS device. Once everything is done, your device will boot up and you’ll be greeted by the Welcome screen. Start setting up your device as you normally would and you can proceed to restore everything from a backup if you like.